(Mastery) How does Bernoulli's principle effect me? 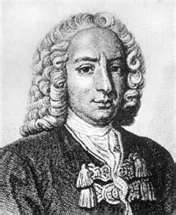 Where in the universe does Bernoulli's principle work? 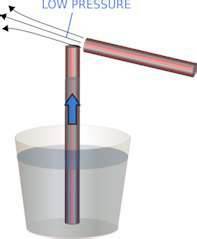 (Understanding) How is Bernoulli's principle different in different fluids? 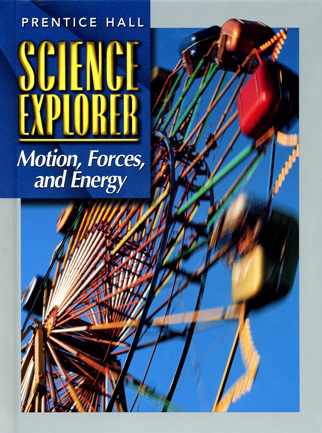 Note** Printed textbook is wrong--Bernoulli explanation of flight is incorrect!!! 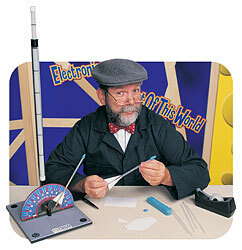 Create a diagram that shows showing how Bernoulli's principle works in chimneys. Show how you witness flight in daily life. .
Show how Bernoulli's principle exists accross the universe in different media. Make a video or animation of flight (see options above.) Narrate, subtitle, or text page to show this week's concepts. Make a radio show, podcast, or song about flight (see options above.) Narrate, subtitle, or text page to show this week's concepts. 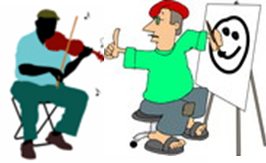 Make a poster, play, song or cartoon showing your understanding of flight in its many forms. 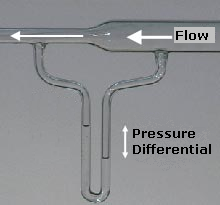 In the picture to the left, the gas in the smaller tube moves faster and creates lower pressure, letting the higher pressure large tube push the liquid below. In the straw to the right, the fast stream of air over the straw pulls the water up into its low pressure zone. 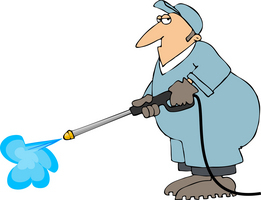 This can be observed in chimney smoke floating up. 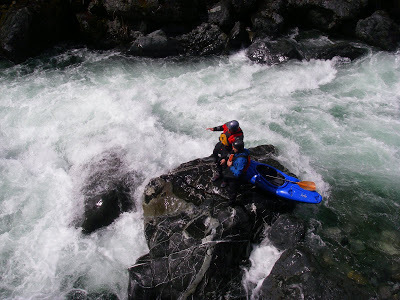 Bernoulli's principle explains whitewater rapids in flat rivers and streams. 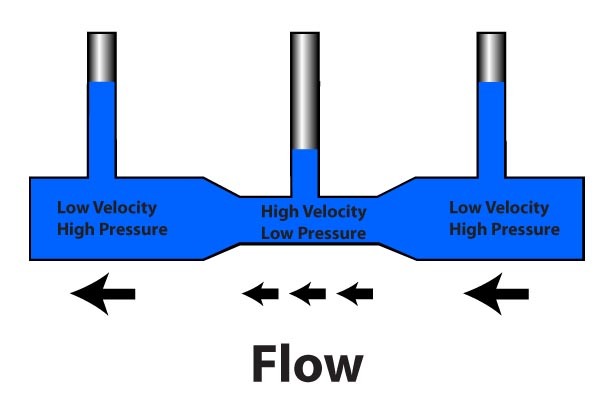 In the picture to the left, as the flow narrows, the fluid speeds up and pressure is lower. In rapids on the right, the fast stream slows as the river widens and pressure goes up. Modern wings are shaped to create lift. 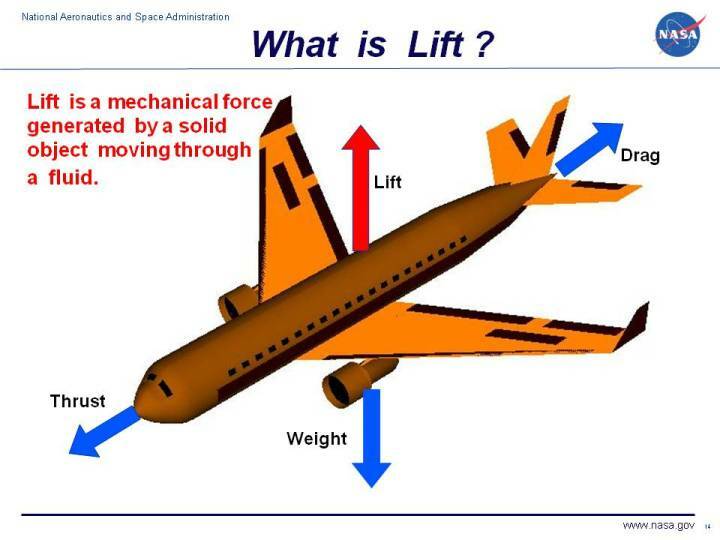 Many books wrongly use Bernoulli's principle to explain lift. See NASA explanation. 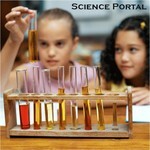 Lift is an upward force on an object in a moving fluid. 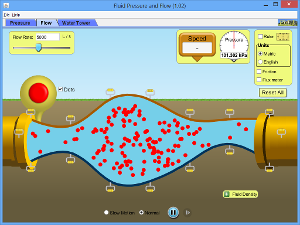 Dynamic pressure is the pressure of moving fluid on a surface. 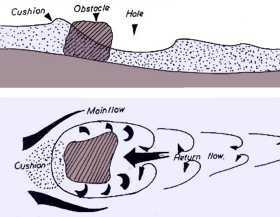 When a moving fluid changes direction, high and low pressure zones are created. As river water hits the front of the rock, it piles up in a high pressure zone. Behind the rock a low pressure hole forms. Whitewater rafters and kayakers use these holes to rest up. Angle of attack is the angle of a wing into a moving fluid. 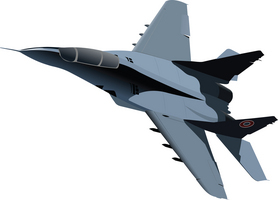 The wing's upward angle of attack creates dynamic pressure under the wing. As air changes direction over the wing, a lower presesure area is created over the wing. 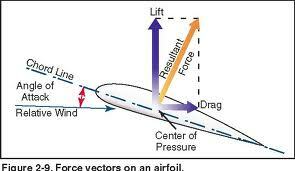 The difference between high pressure below and low pressure above pushes the wing up. Sails and kites create natural airfoils that use wind to create lift.